Chelsea "Chels" "Mick" Atkinson, age 75, of Harrisburg, passed away at 7:05 PM Thursday, January 17, 2019 in Harrisburg Medical Center. He was born November 18, 1943 in Harrisburg, to the late Pat and Mildred (Pickering) Atkinson. On June 23, 1962 he married Gusta Kaye (Stout) and she survives. He served in the Army during the Vietnam War. Chelsea was a welder for the Boilermakers' Local 374, and a miner for Sahara and Peabody mines. 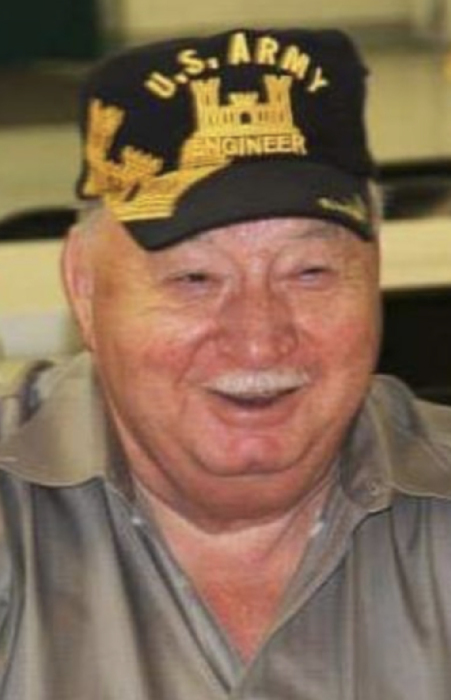 He was a member of Dorrisville Baptist Church, Past President of the Harrisburg Lions Club, a commander of VFW Post 2864, a Precinct Committeeman, former Harrisburg Police Commissioner, and was formerly on the board of the Saline Valley Conservancy District. He loved drag racing, politics and was an avid storyteller. He was a devoted husband, father, grandfather, and great great-grandfather. In addition to his wife Gusta Kaye, Chelsea is survived by a daughter, Tina Henson and husband Michael of Harrisburg; son: Dean Atkinson and husband Jared of Marion, IL; son Gene Atkinson and husband Evan Maher of Marion; Crystal McCabe and husband Chad of Harrisburg; 12 grandchildren: Raychel and Gabby Henson of Minnesota, Skye, Aiden, Kane Henson of Harrisburg, Erika Atkinson of Marion, Gabe Atkinson of West Palm, Florida, Hunter Maloney, Chase Maloney, Harley McCabe, Harper Kate McCabe, and Creed McCabe of Harrisburg; six great grandchildren, Lilly, Benji and Damian of Minnesota, Makayla and Addi of Harrisburg, and Rory of Marion; brothers, William "Bill" Atkinson of Harrisburg, Kenneth Atkinson and wife Joyce of Harrisburg; sister-in-law, Mary Ann Atkinson of Harrisburg; several nieces and nephews. Chelsea was preceded in death by his parents, and one brother, Jerry Atkinson, Sr.
Funeral Services will be held at 1 PM, Wednesday, January 23, 2019 at Reed Funeral Chapel in Harrisburg, with Rev. Brent Holloway officiating; burial will be in Sunset Lawn Cemetery in Harrisburg. Visitation will be held from 5 PM to 8 PM, Tuesday, January 22, 2019 at Reed Funeral Chapel. Military graveside rites will be conducted by the Army National Guard and the Harrisburg VFW and American Legion. Memorial contributions may be made to the Harrisburg Police Department or the Veterans of Foreign Wars.